Mail4Rosey: IDO3D and You Can Too! What if you could design something on flat paper and have it turn into 3D art. That would be cool, right? 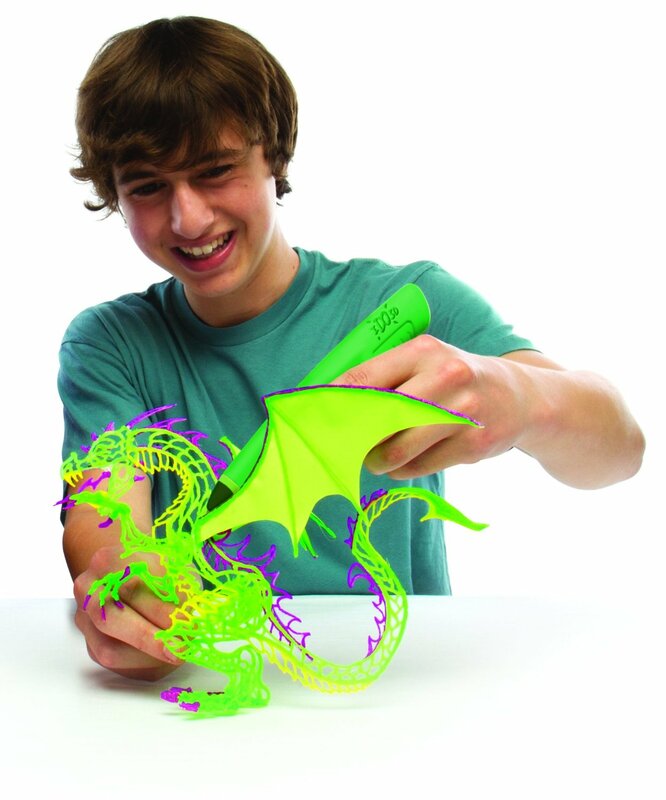 Well, with the IDO3D drawing kit, you surely can! 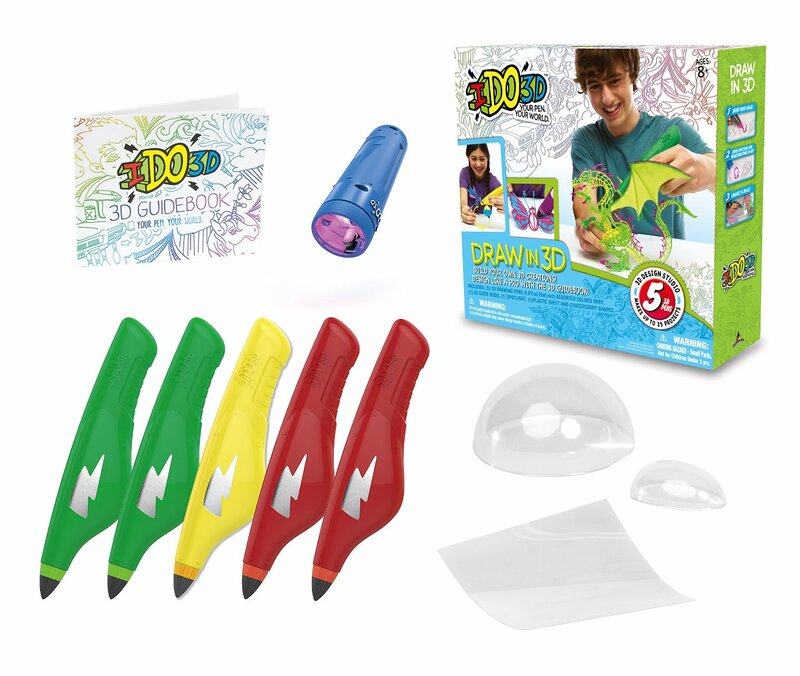 The kit comes with the pens for drawing, an instruction and guide book, a plastic sheet, plastic accessories and shapes, and the light to turn your creations into 3D designs. It is designed for ages 8+. Imagine the looks of surprise on your children's faces when they see their drawings coming to life. This is unlike anything I have seen ever, and I just think it's fascinating. You can make 3D rings or other jewlery, ships, planes, bridges, cars, etc. There's really no limit to what you can make. It's kind of like a cross behind wiki stix and drawing that comes to life, don't you think? It's affordable too, which really surprised me (I guess because I tend to think of unusual as being pricey most of the time). Amazon has videos of the IDO3D set, and you can see those here. 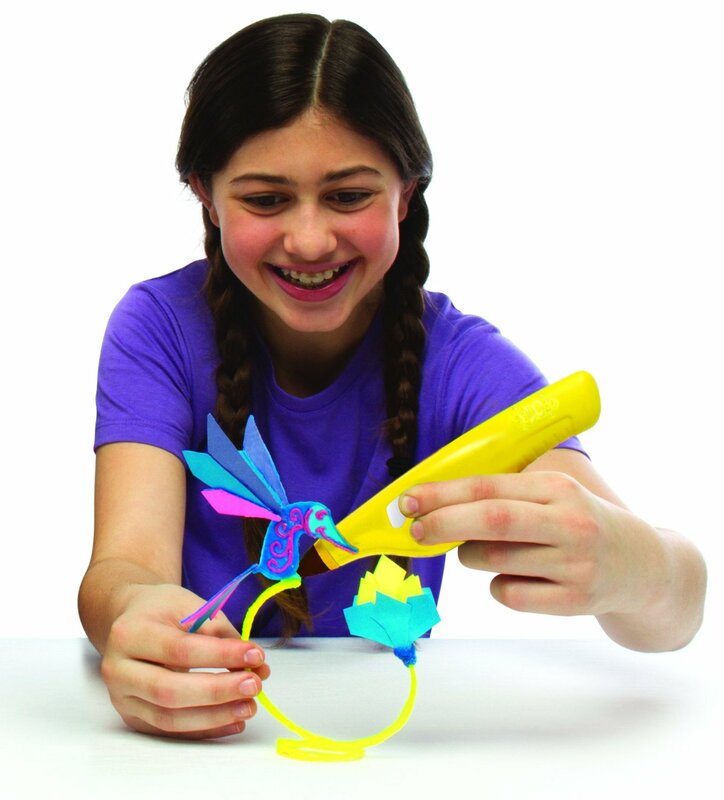 I can see this kit being a great single activity or a fun joint activity too. My son is Mr. Creator so I know he'd love to get his hands on one, and he's the perfect age for it too. I like that you can make your designs as simple or complex as you would like. You can learn more abotu IDO3D by visiting their website. You can also see other people's projects, get tips, and find out all of the places close to you where you can buy it. Have you ever seen anything like this before? Would you like to try it/buy it? I have never seen anything like this before. How neat is this?! This sounds like fun! My kiddo would love to do this. Their imagination can just flow! That looks so cool! I'd love to try my hand at one of these. That is so cool! I think both of my boys would love this. It's seriously cool. This is such a cool kit. It would be great seeing their creations come to life in 3D. What an amazing toy! This would definitely engage a child and really help spark some creativity into their day! This is the first time I've seen a product like this. Every kid would surely be excited to have this. I love that dragon. It's really cool. I've never heard of this. How cool and fun too! My niece would this! Wow! This is so cool! All the kids, teens or even adults with artistic skills can enjoy this product. I have two little boys that love to draw, they would find this absolutely amazing!!! Buying one now! Oh wow, I've never seen anything like this before. The girls will flip out with these pens. I have been looking at these 3D drawing tools for a while. I am just so fascinated by them. I dont even know what I would do if I had one. What? That is way too cool! My son would absolutely enjoy this. I didn't know 3D drawing tools were out!! How cool is that?! I can see these begin great presents for Christmas!! Those look so fun. I wish I had them when I was a kid too. This definitely looks new and fun! Wow! This looks so cool! my daughter love arts and this will surely make her jump around. This is so awesome! I finally had the chance to see a big professional 3D machine in use last month when we took a tour of the local "Makers Space". Okay this seems super awesome and so much fun! I wish stuff like this was around decades ago. And great to get kids away from the electronics! That is so cool, never even knew there was such a thing! My son would love that! I will check it out! Wow! Now that Is awesome! I will have to get this for my kiddos. I would love to try this. I can see kids growing up with wonderful imaginations. My oldest son would love this, he loves making monsters and would have such a great time bringing them to life in 3d. What?!?! This is the coolest thing ever!!!!! I so need this for my daughter.... She would get a kick out of this! That sounds like a great way to do some interesting art. We have that at our house. My kids loved it! My kids saw an advertisement of this on TV and they want it so bad! I think it's so cool too, would make a very nice gift this Christmas. Isn't it crazy how far along things have come from just even a few years??? ?